associated with each class level. 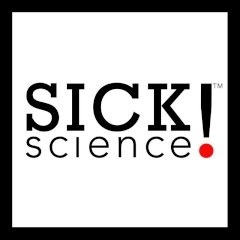 Check out this great website for science experiments! 6th Class had a science competition for science week....where the children chose their own experiments, sourced all the materials they needed then presented their experiment to the whole class. They all did a fantastic job!!! The overall winner was Carolina...who won the fantastic science trophy!!!! well done to everyone for a fantastic week! 'Mad Scientist' Craig Stevens visited our school on Tuesday 19th November for science week and put on a great show. He amazed us all with allsorts of things.....flying balls and even a hoverboard!!!!! it was 'Mad'!!!!!!!!! Seomra Shona Senior have been learning all about wood this week and did some great experiments involving wood ....ie: floating and sinking, how temperature effects wood and 'how many blocks will fit'. Seomra Shona Junior have been learning all about energy and especially electricity. Here are some pictures of an activity that involved finding things that need electricity to work!!! Junior Infants 2 learned all about 'dancing custard'!!!!!!! Soundwaves made the cornflour mixture dance on the speaker....much to the delight of children and adults!!!! Noreen Burke from the Atlantaquarium brought a real aquarium to class and 4th will monitor what happens inside it for the next month!! They also investigated how materials are effected by light.... ie: making them opaque or transparent! 1st class had a fun visit from Michelles mom. They made Moebius circles and were amazed at the 'unburstable balloon' !!!!!!! they made simple circuits that made a lightbulb light up and investigated what materials were magnetic!!!! 2nd Class investigated in the dark with flashlights!!!! they learned about transparent and opaque!!! 3rd Class ( and 4th) had a visit from Eimear Hassett during the week. She talked about how to develop a sustainable energy community. They saw how mini solar panels could power a windmill and how light can run a fan!!! They investigated the temperature in different house based on insulation. The Galway Science & Technology Exhibition 2013 is here! The school will be jam-packed full of exciting science activities and interesting visitors. Mad Scientist, Craig Stevens will visit on Tuesday 19th and 5th Class are taking a trip to the Marine Science Building in NUIG for an exciting show. What is your class doing? ...will take place in the Bailey Allen Hall and the Orbsen Building, NUIG on Sunday 24th of November from 10am to 6pm. Please come and enjoy the fun. You will be pleasantly surprised if you do. 6th class will be hosting their own exhibit! They will be presenting the findings of an experiment they conducted earlier this year on 'cellular respiration'. They will be asking members of the public to participate in on-the-spot experiments! It could be you who is asked! ...will take place in the Bailey Allen Hall and the Orbsen Building, NUIG on Sunday 25th of November from 10am to 6pm. Please come and enjoy the fun. You will be pleasantly surprised if you do. 5th class will be hosting their own exhibit! They will be presenting the findings of an experiment they conducted earlier this year to see if talking nicely to plants may affect they way they grow. Its fascinating stuff! Expect to see lots of spider plants! 6th Class will also host their own exhibit. They will be educating the public all about cellular biology, good bacteria and nasty bacteria. There will be lots of games and prizes and expect to see some giant bacteria on the loose! Lets hope the lab technicians in biohazard suits can catch them before mayhem breaks loose! 5th class visited the BEAST Exhibition in NUIG as part of Galway Science & Technology Festival.The exhibition is a reflection of the increasing interest amongst the scientific and artistic communities in using the arts as a tool for communicating scientific concepts; as a means to engage people on a scientific topic that they might not otherwise; or simply to demonstrate just how beautiful science can be! The Will and Kate of the Galway Science Festival! On Monday, 22nd of October, some pupils from 6th class were asked to take part in a photo shoot to promote the launch of the Galway Science and Technology Festival. The festival will take place at a variety of venues throughout the city from the 12th to the 25th of November 2012. 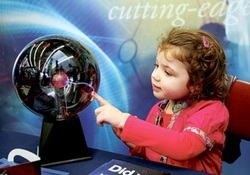 The Galway Science and Technology Festival is coming to town from the 12th to the 25th of November 2012! There are many exciting activities happening all over Galway this week including a science show in our own school. On Sunday the 25th of November 6th Class will host an exhibit in the Science Festival in NUIG. This year we will be focusing on Biochemistry. It promises to be a fun, hands on exhibit with many exciting activities. Be sure to come along!